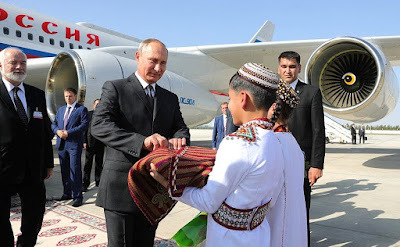 The President of Russia Vladimir Putin arrived in Turkmenistan at the invitation of President of Turkmenistan Gurbanguly Berdimuhamedov. Vladimir Putin arrived in Turkmenistan. Official visit of Vladimir Putin to Turkmenistan will include talks, which will mainly focus on the key issues of developing bilateral cooperation between Russia and Turkmenistan in the political, trade, economic, scientific, education, culture, humanitarian and other fields, plus actual regional issues. Following the Russian-Turkmenistani talks, a package of documents will be signed. Greeting of Vladimir Putin in Turkmenistan. 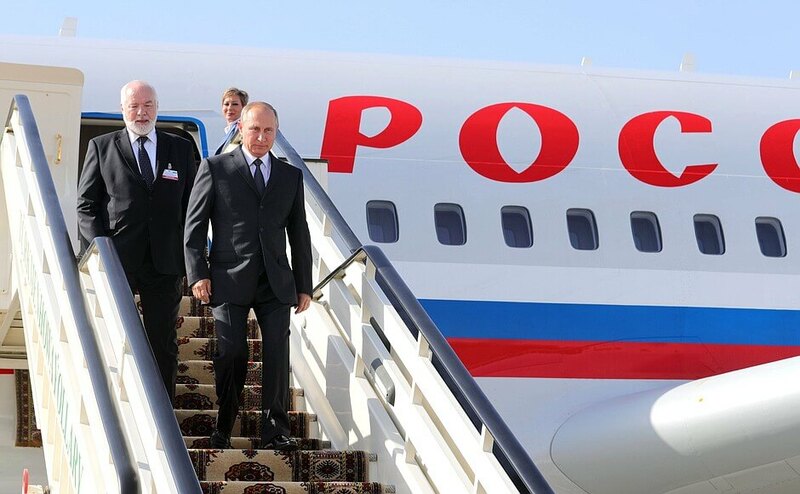 Vladimir Putin arrived in Ashgabat with the official visit. 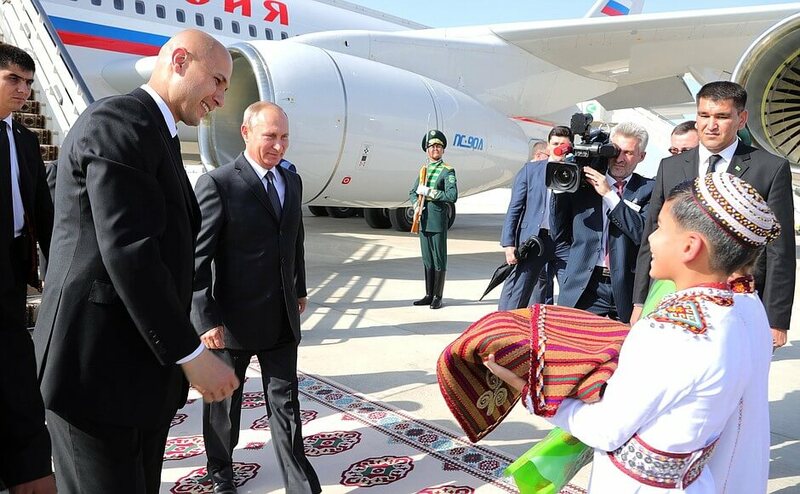 0 Comment to "Vladimir Putin arrived in Turkmenistan"